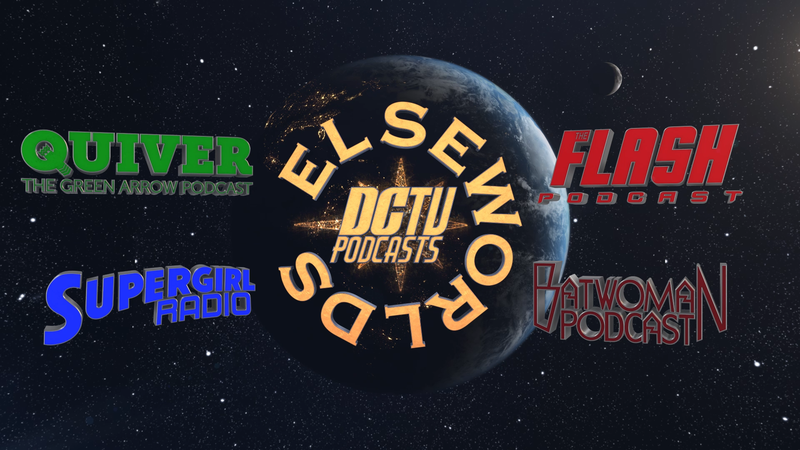 Back for their annual Arrowverse podcast crossover, The Flash Podcast, Supergirl Radio, Quiver: The Green Arrow Podcast, and the newly added Batwoman Podcast will be uniting on Wednesday, December 12 to cover this year’s 3-show crossover between The Flash, Arrow, and Supergirl: Elseworlds! Be sure to sign up for an account on Mixlr which is simple and free so you can take part in the live-chat with everyone! This will be where you can submit your thoughts and questions about the crossover to the hosts throughout the live show. Participating from the podcasts are Andy Behbakht, Andrew Dyce, Tatiana Hullender, Swara Salih, Amanda Konkin, Michael Cohen, Tim Geraci, Rebecca Johnson, Morgan Glennon, along with DC TV Podcasts’ latest members Rachel Eiley, Jessica Elaine, and Mimi Schweid from the Batwoman Podcast. There may or may not be some surprise guests showing up! All of us hope you’re just as excited for this year’s crossover as we’re so please do join us on Wednesday, December 12, LIVE for another super-podcast crossover!